Finally our day of the tour has arrived, there is a buzz in the air this morning and everyone is up early today. 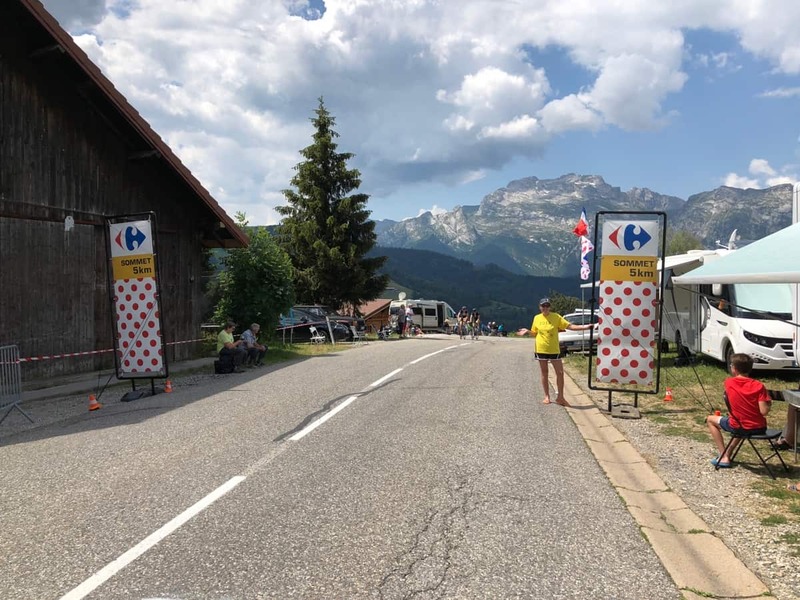 Stage 10 of Le Tour, the first day in the mountains will pass by sometime today. We basically have no idea when, but sometime. 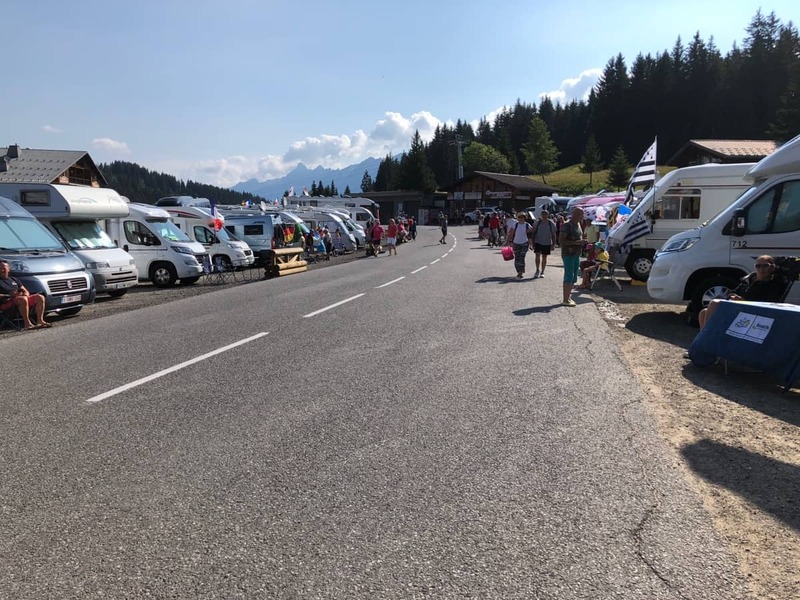 Motorhomes and cars continue to pass heading up the Col de la Croix Fry, but less frequentley now. 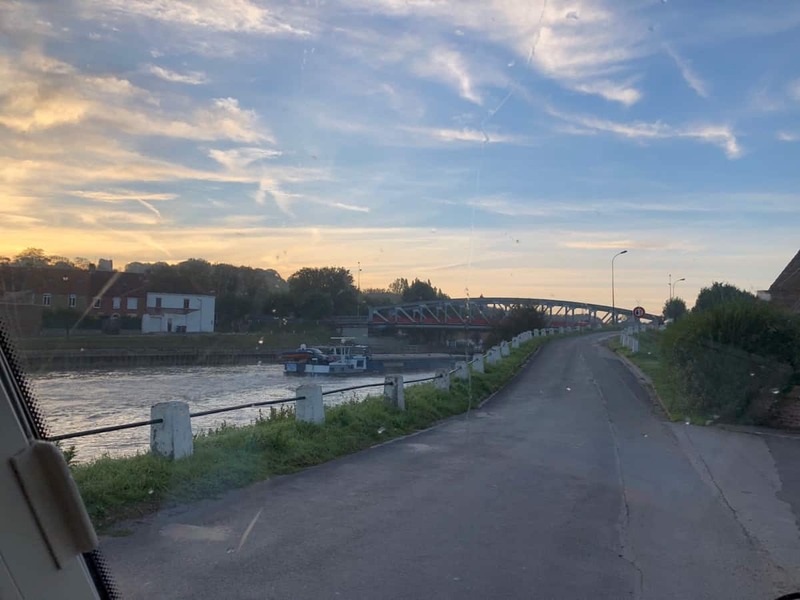 We have a coffee and some fruit as we look out onto the D15. 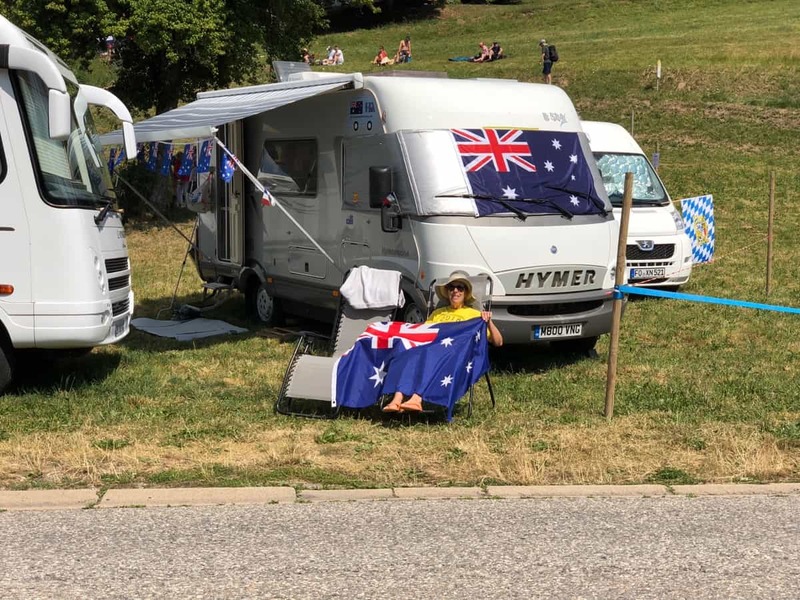 There are now cars parked everywhere at odd angles and people sitting in little chairs on the road-side, eating something or watching us with our Australian flags with some curiosity. Pam wants a walk so we repeat the one we have done for the previous two days. Some of our neighbours mostly the women are doing the same walk now, mind you not too many. Back from the walk our little community is growing. After breakfast I take the scooter for a run to the top of the Col. It’s full as a fairy’s phone book up here. 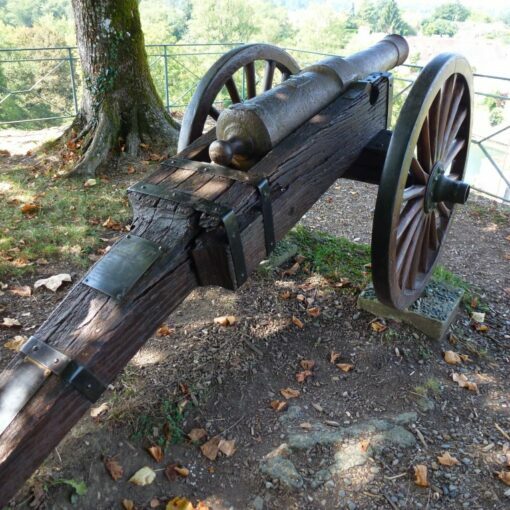 Pam will send the gendarmes looking for me, if I am not back in the allocated time so I head back down. 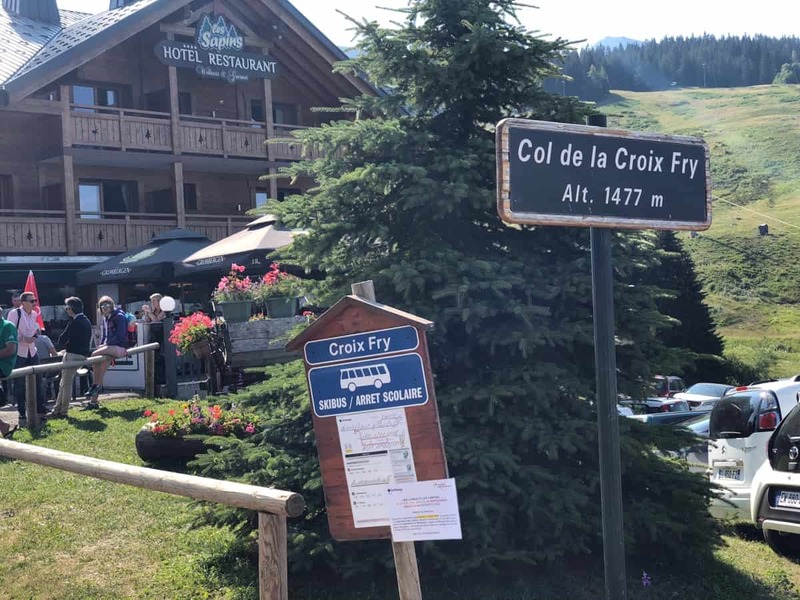 Just below the Col and the tour doesn’t arrive for another 4 hours. 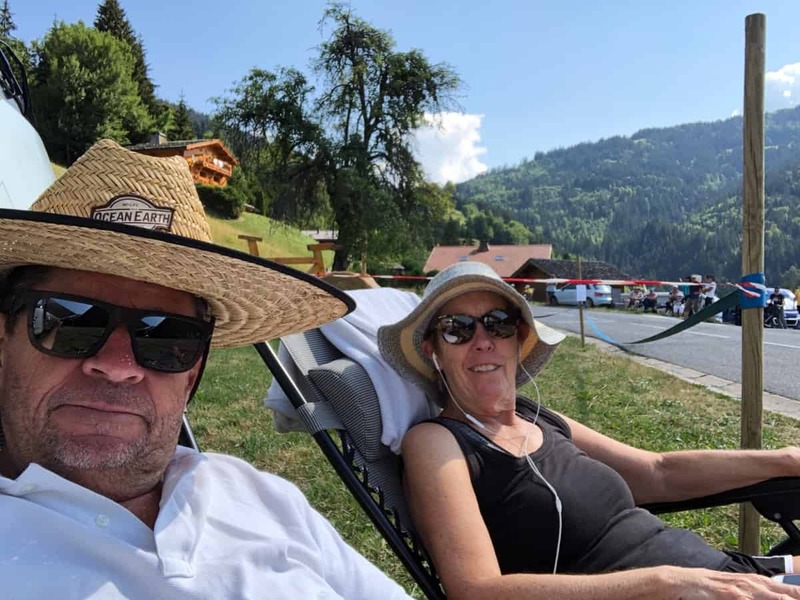 So we chill out, Pam listens to a podcast, I try not to get caught looking sideways at the young french girls. A couple of times we hear a guy riding past yell out ‘goodaye mate’. Never seen that set up before. 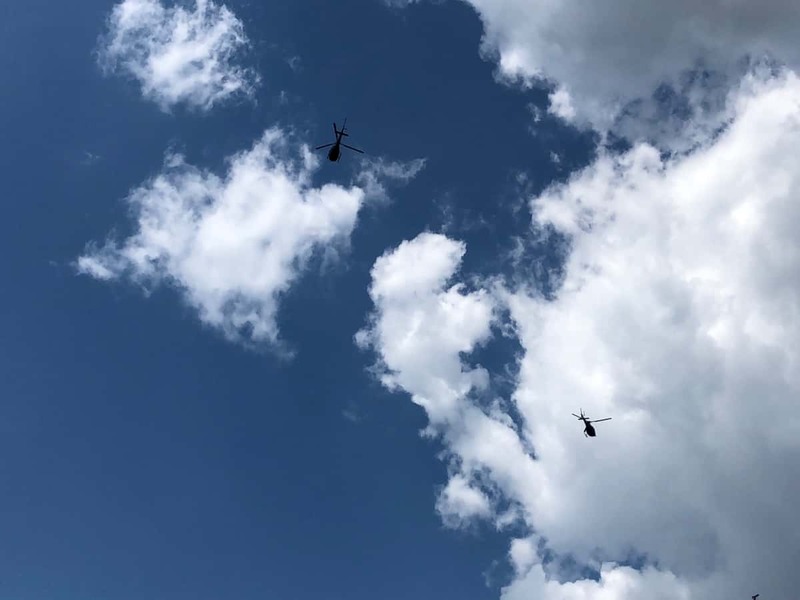 Helicopters appear in convoy overhead, like a scene from Apocalypse Now. We start to see lots of police on motorcycles so we get excited…but nothing. 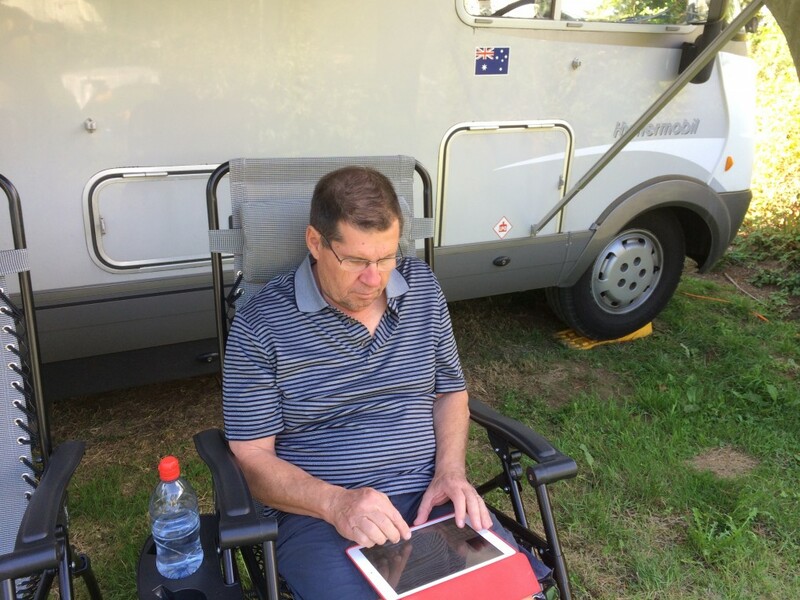 I have always enjoyed watching the tour unfold on SBS over the 3 weeks. 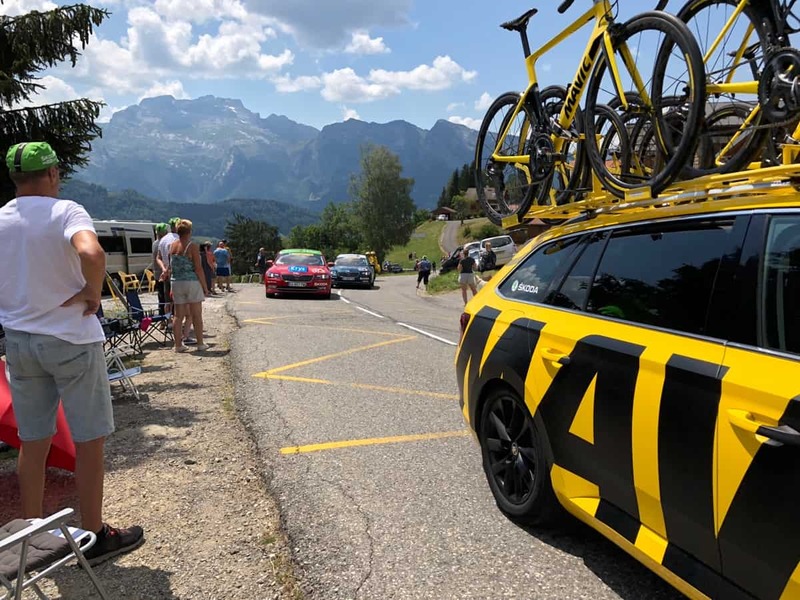 Its not so much about who wins or looses, frankly we cannot understand how the general category and the points systems work, but we love the scenery. 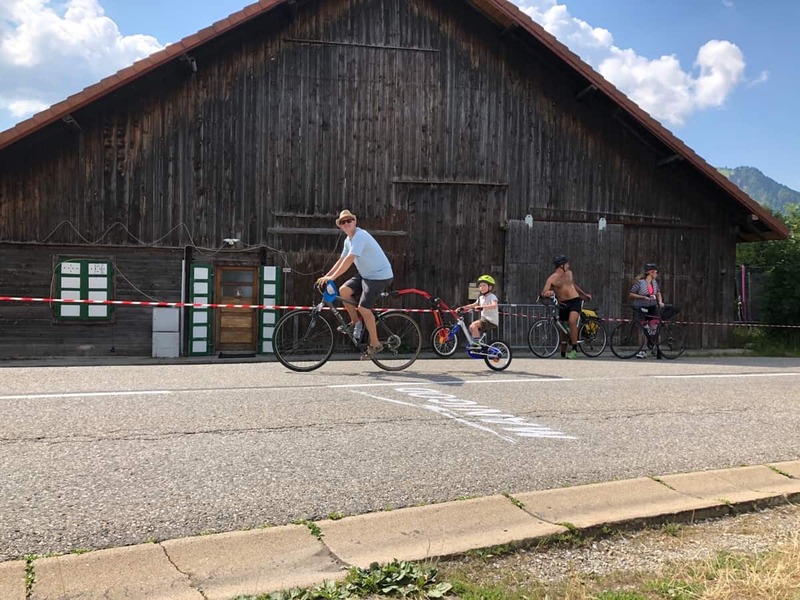 Anyway after being here to watch the tour passing, I’ll try to explain how it works…frankly it’s reminds me of circus or mardi gras except its constantly moving along the road for 3 weeks. Starting in the morning of race day, signs and barracades go up, garbage bags get attached to posts, police appear on every corner, helicopters pass overhead, police motor-cycles pass, all traffic stops, convoys of advertisers trucks pass, all throwing hats, fridge magnets and key rings etc (like 50-60 trucks), support vehicles (mostly Scoda, VW and Audi wagons with bits of bikes on top), then media vehicles and bikes (another 20 odd), then the front riders appear with a motorcade of more support and media vehicles, then the rest of the peloton, then another 50 support vehicles and the tour has moved up the road. The police re-open the road after 30 minutes, a truck collects the signs, another passes and collects the rubbish, the barricades are gone and the tour is just a memory. 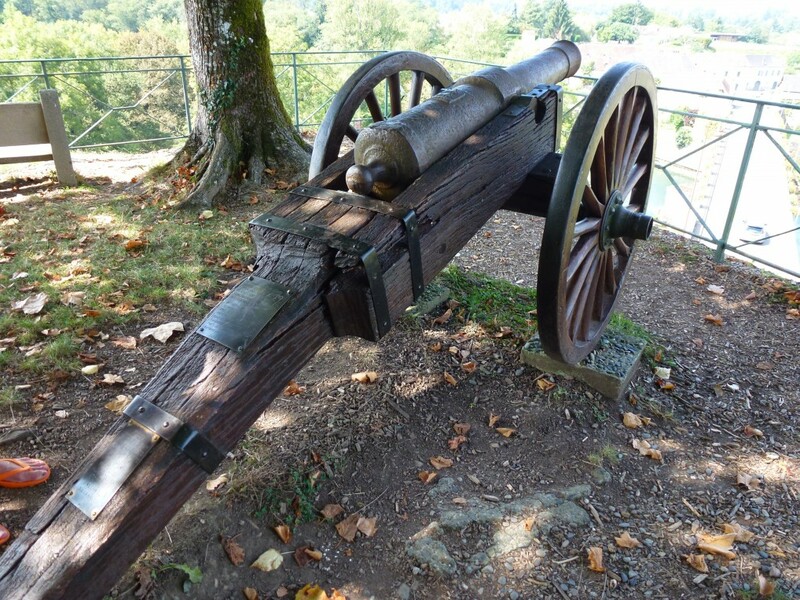 This account of the tour does not acknowledge the passion the French people put into the event. 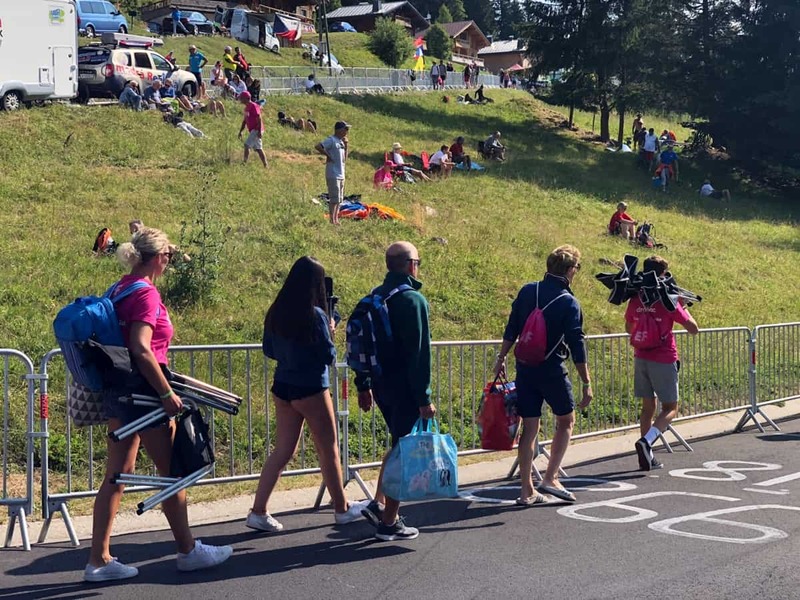 They drive for hours, walk up a steep hill, then sit in a ricketty chair in the sun for 4-5 hours to see someone, most likely not a frenchman win your national event, with the off chance of a fridge magnet as a souvenir, that takes passion. A couple of guys pull up in a truck and spend 15 minutes putting up these signs. Then the dolly girls start posing for photo opportunities. 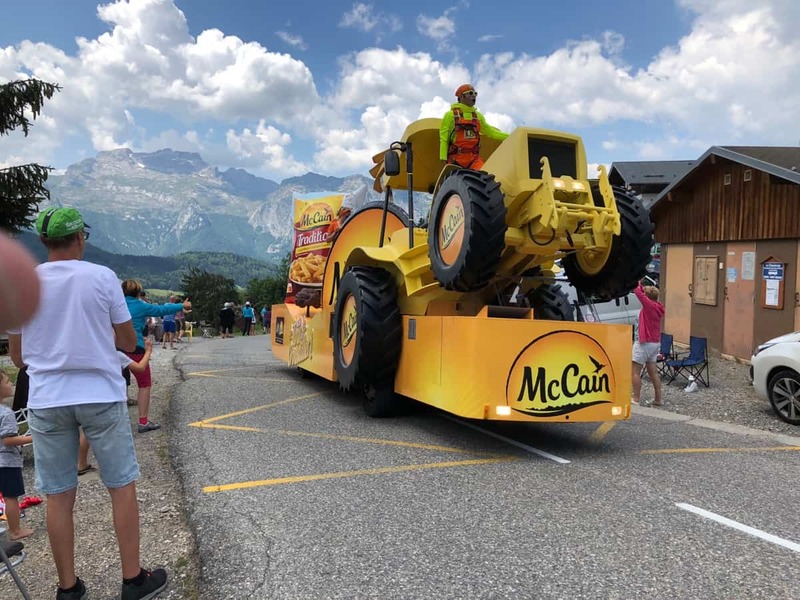 McCain’s are a big hit on the tour, although its hard to imagine Richie Porte or Chris Froome tucking into a plate of fries after 158 kilometres on the bike. They are playing ‘Ride of the Valkyries’ on their loudspeakers. Suddenly it’s happening, the tour is here, then it’s done. 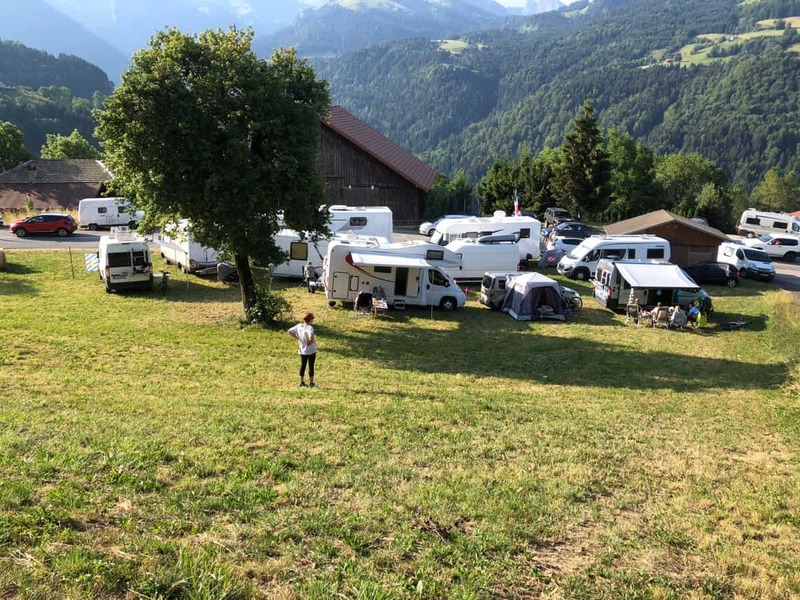 We have done the tour or perhaps the tour has done us, but in any case we have had a relaxing few days with our fellow motorhomers on the side of the mountain. The scooter has proven its worth. 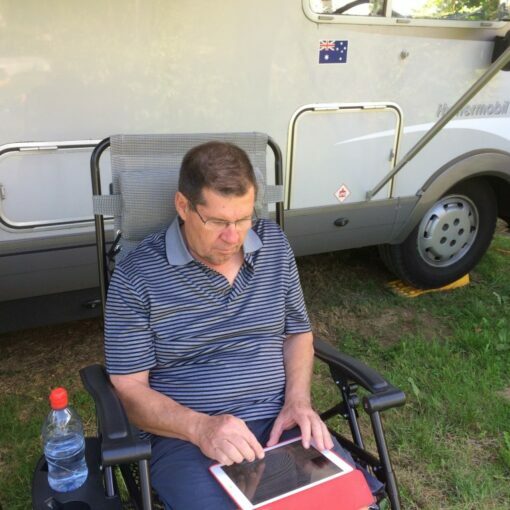 We have done it the Aussie way with a perfect coffee whenever we felt like one and getting the Webber out every night and BBQ something or other. 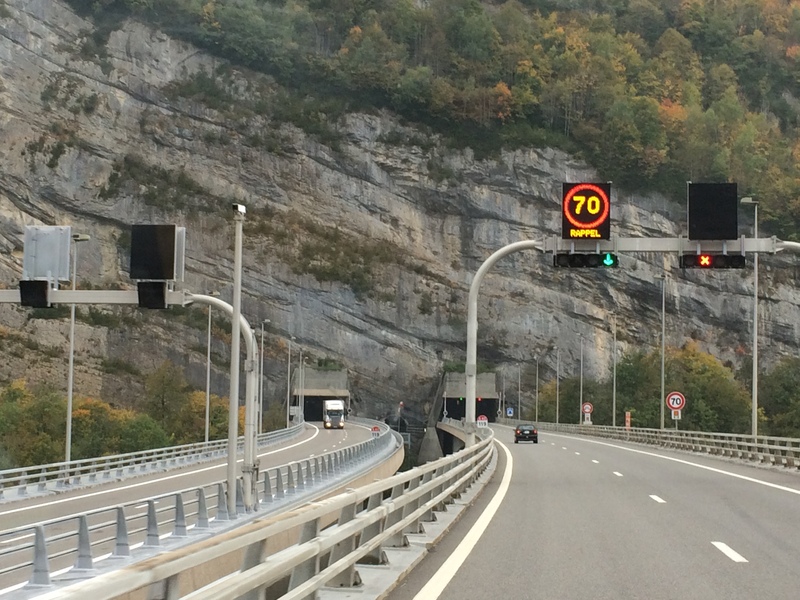 An hour after the tour has passed the traffic suddenly clears, most of the traffic is heading back to Annecy but we drive over the Col and make our way down the other side. The D909 becomes the D2188 and we wind our way up the the ski resort at Les Saisies. There is a huge aire here with facilities. 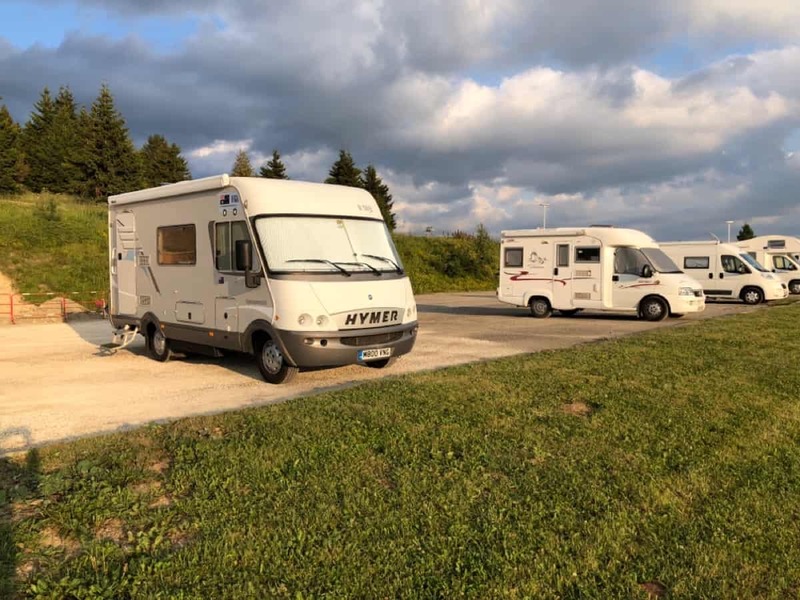 By late this evening there are 50-60 motorhomes here. Did you get a fridge magnet?